Cheetahs are best known for their incredible speed, which has earned them their reputation as the fastest animal on Earth. To see one whilst on safari is a real privilege, as these graceful carnivores are amongst the most beautiful and elusive of all African animals. Cheetahs are easy to distinguish from other African cats thanks to their slender build and long legs (they can stand up to 35 inches/90 centimeters from floor to shoulder). They have yellow, tan or rufous coats with close to 2,000 black spots and dramatic black lines below their eyes. These tear marks are thought to help keep the sunlight from blinding them while they hunt. Baby cheetahs are born with a mantle of bushy hair, which helps them to resemble the fierce honey badger and frighten off would-be predators. Dry forests, scrubland and savannah are the preferred cheetah habitats. Males are territorial but occasionally form coalitions, while females are usually solitary unless they are accompanied by their young. Cheetahs breed throughout the year and have a gestation period of nearly three months after which they give birth to a litter that averages three to five cubs. Unlike lions, cheetahs do not roar. Instead they purr, growl, yowl and even chirp in excitement. Like a million-dollar sports car, everything about the cheetah is built for speed, from their thin, muscular bodies to their increased lung capacity. Adaptations like these allow the cheetah to go from 0 - 60 mph/0 - 100 kmph in under three seconds - an acceleration speed that is on par with the fastest production cars created by Porsche, Ferrari and Lamborghini. When cheetahs run, their stride is so long and so quick that only one foot touches the ground at any given time. The cheetah's hind legs have muscles designed to produce speed, whereas those in its forelegs are adapted for steering and balance. As a result, all of the cheetah's power comes from the back. Being faster than any other animal on the savannah doesn't necessarily guarantee the cheetah hunting success. Although they can reach speeds of up to 75 mph/120 kmph, they cannot maintain such speeds for long. Often, prey animals including springbok and steenbok survive by simply outlasting their opponent. Cheetahs hunt during the day in an attempt to avoid competition from nocturnal predators like lion and leopard. However, their smaller size and less aggressive nature makes it difficult for them to defend their kill and they often lose their meal to other cats or opportunistic scavengers. Many cheetahs are solitary hunters and cannot afford to be injured, and so prefer to avoid confrontation. Their solitary status also means that female cheetahs must leave their cubs unprotected whilst they hunt. This makes them vulnerable to predation, and as such only 10% of cheetah cubs make it to adulthood. Those that do survive have an average life expectancy of around 12 years, although that is often significantly reduced in the wild. The difficulties naturally faced by cheetah in the wild are exacerbated by man-made pressures. Growing human populations and the spread of agriculture across much of Africa has resulted in reduced territory for wild cheetahs, as well as a decrease in available prey. Worse, some farmers target them directly in the belief that they pose a threat to livestock. The cheetah's beautiful spotted coat also makes it valuable to poachers. There are thought to be fewer than 8,000 cheetah left in the wild in comparison to a global population of over 100,000 in 1900. This includes a critically endangered Iranian population of around 50 individuals. So far, cheetah have been declared extinct in 20 countries and are listed as Vulnerable on the IUCN Red List. Many organizations throughout East and Southern Africa have dedicated themselves to ensuring their survival. For cheetah welfare groups like the AfriCat Foundation in Namibia, key aspects of cheetah conservation include education, anti-poaching patrols and the relocation of cheetah from farmland areas to reserves and game parks. Ensuring that local communities benefit from cheetah-related tourism is another surefire way to safeguard their future in Africa. Although cheetah have disappeared from much of their historic range, they can still be found across the continent, from South Africa in the south to Algeria in the far north. The Saharan subspecies is critically endangered and sightings are almost unheard of; however, populations are healthier in East and Southern Africa. 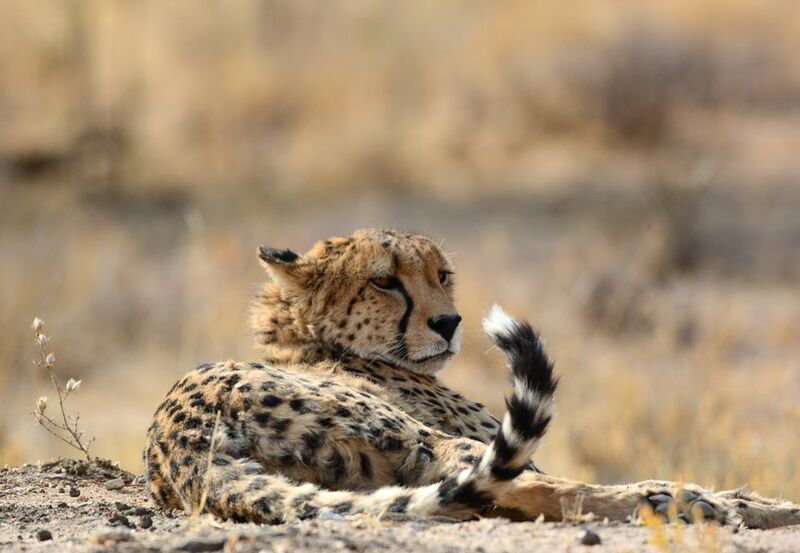 Namibia has the highest density of wild cheetah; however, the majority of these live on private farmland. Therefore, the easiest way to see the country's iconic cats is to visit one of its many cheetah conservation projects. Of these, the best include the AfriCat Foundation at Okonjima Nature Reserve and the Cheetah Conservation Fund. In South Africa, cheetah conservation projects include the Cheetah Outreach Center near Cape Town and the Hoedspruit Endangered Species Center near Kruger Park. Centers like these allow close encounters and are invaluable in educating local communities about cheetah conservation. Breeding programs also help maintain a stable population. However, there's nothing quite like spotting a wild cheetah on safari. The best places to do so include Tanzania's Serengeti National Park or the Masai Mara National Reserve in Kenya. South Africa's Phinda Private Game Reserve and Kgalagadi Transfrontier Park both have stable cheetah populations, whilst the Chitabe area of the Okavango Delta is your best bet in Botswana.